-London is a great city in Unite Kingdom, with many tourists and people around the world. - I always believe in myself and everything is sucessful in my life. -Londres es una gran ciudad en el Reino Unido con muchos turistas y gente alrededor del mundo. -Siempre creo en mismo y todo es exitoso en mi vida. -El mejor guerrero no es quien siempre gana, es el que nunca se rinde. Mario Esteban Espitia Martinez, Was born in Colombia on 25th January, 1995 , in Tunja, Colombia, electronic engineer with a postgraduate degree in quality systems management, with great skills in languages translations being the spanish his mother language and other languages such as english, german and portuguese, Mario has visited countries in Europe and Latin America, inspired in learning about the new cultures around the world. Enjoys to read books about several topics like history, nuture, cultures, tecnology and many more topics. 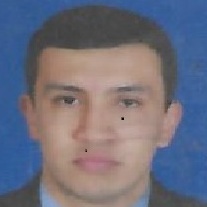 Researcher, writter of many articules in english language about the new tecnhologies developments. demonstrating the interest to investigate everything about this and if it is possible improve the enviroment in Colombia in many aspects and show all of strengths in knowledge in diferents languages to share the differents view points.